A huge thanks to everyone who gave me video-monitor advice. I'll let you know what we end up doing. Today I'm going to talk once again about the joy that is teething. This misleading picture makes it seem like he's HAPPY about teething. That is not the case. My pediatrician was like, "He's going to be teething until he's two..." so she wasn't a big fan of relying on numbing gels or meds for that long (as previously mentioned in my Sophie the Giraffe post). And I didn't want to either. We've gotten through 7 months without any sort of Baby Tylenol, and I want to keep that streak going for as long as possible. I'm writing about teethers again because Baba got his first tooth at 4.5 months... and now he's got 4 (the top-center 2 and the bottom-center 2), and therefore the drooling doesn't stop. Nor does his constant search for crap to stick in his mouth to make things feel better. for a while and was always just putting them in a little bowl in the fridge. Baba really dug them... for like 10 minutes. Then he would lose interest. But last night I tried putting them in the freezer in order for the water/liquid in them to, you know, FREEZE. I am aware that many teethers are not meant for the freezer. Maybe these ones aren't, either (packaging is long gone and I couldn't find out online), but I tested them out on myself to be safe (as well as I could without exposed gums...), and honestly do believe that they're pretty much made to be frozen. At least the MAM one is, for sure. So after suffering through about an hour of extreme fussiness before bedtime last night, I remembered I had the MAM thing in the freezer. I gave it to him, and it was like a damn miracle. IMMEDIATE change in attitude. This picture was taken long after the usual ten-minute disinterest mark. I can't get no satisfaction... until now. I wish I could've gotten a video, because BG was moving this thing all around to every corner of his mouth and switching between the three prongs. He was gnawing it like there was no tomorrow. He loved it. I can't believe I hadn't been freezing it this whole time. The bottom line: Fellow parents, learn from my mistake. Rely on a freezable teether when your little guy or gal gets cranky. 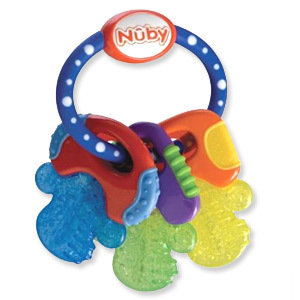 I was able to find both the Nuby IcyBite key ring (which he also LOVES... and which lasts longer since there are more "cold parts") and the MAM cooler at my local CVS and Walgreens, and they're both cheap ($6). 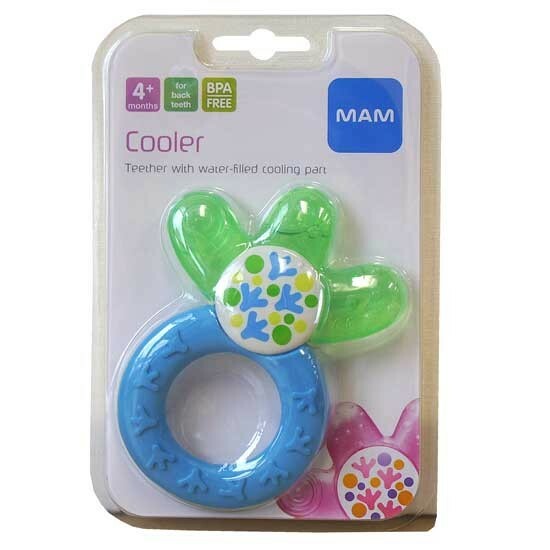 The MAM one is designed to help infants reach their back teeth, and I do believe it works. Both products are BPA-free and all that good stuff, too. You know what's even quicker, easier, and cheaper? Putting a small, wet washcloth in the freezer and then letting your kiddie chew on that. I haven't yet tried this with Baba G, but I know his daddy used to love to chew on cold cloths when he was a baby, and BG does seem drawn to wet washcloths when I wipe him down after a meal. So I'll have to try my own advice soon! 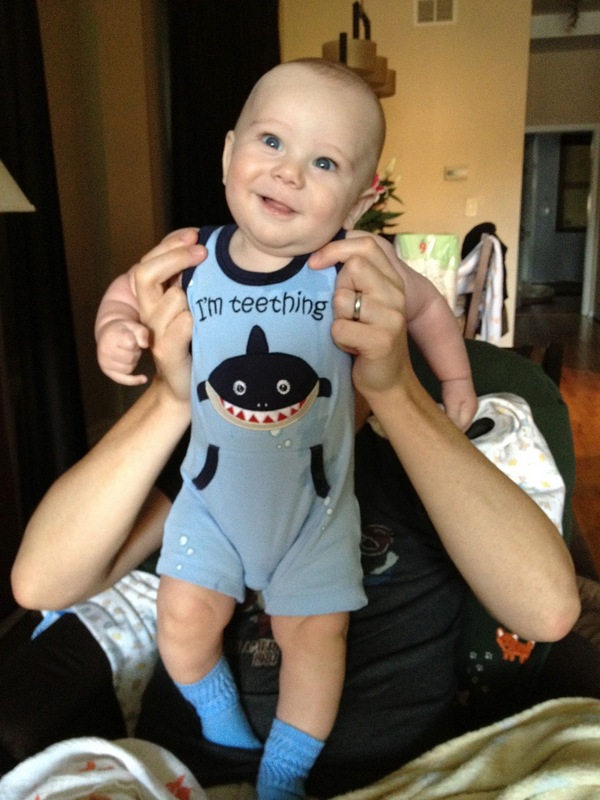 Any other teething tricks I need to know about? Since you guys were able to help me out so quickly with my Pee-Diaper Crystal drama, I thought I'd harness the power of your experience again as my husband and I begin a search for a city-friendly baby video monitor. Ever since we moved Baba G into his nursery (at around the five-month point) we've been using this Philips AVENT baby monitor and it's been great. I'll have a post dedicated to it one day. ... to being able to do it. Within like 2 seconds. Not only is he pulling himself up to a standing position, but last night he started jumping up and down like a wild man. It was like he was flaunting it. And then this morning my husband found him standing up in his crib at 6 a.m. We have friends whose sons have learned to climb down from their cribs at the nine-month mark (BG's at seven months), so we're thinking we better throw in the towel and get a video monitor. I was REALLY wanting to avoid getting a video monitor early on, because I figured I would obsess over it and watch it constantly. Now I think I'm over my mega-worrying stage and believe a video monitor would simply come in handy when trying to determine whether or not BG's going to be able to get back to sleep vs. remain stuck in a standing position vs. be on the verge of catapulting himself onto the rug. 1) My friend Nerdy P had a Paranormal Activity-like experience with one while babysitting for her nephew. She said the screen would randomly flicker just like in the movie, and... well... that would definitely be enough to spook me. 2) I've read that in a city, video monitors can pick up the feeds of other video monitors. Um... NO. If a flickering screen would send me over the edge, then I don't even know what would happen if I awaken in the wee hours and in my groggy state see a long-curly-haired baby GIRL or something. I believe monitors with DECT technology help avoid this problem (something about the channel frequency), but I haven't researched it too much yet. I'm back from my Girls' Weekend in New York, and somehow everyone at home survived without me—imagine that. Thankfully my husband and I were able to set up a video chat each morning after Baba G had his first meal of the day, and it was clear that BG could actually see me. I would make funny noises and faces and he would laugh and laugh, so it helped convince me that he wasn't going to forget who I was. Ah, the miracle of technology! Today I decided to write about the Fisher-Price Luv U Zoo Busy Baby booster seat we received as a gift. The friends who got it for us loved theirs so much that they wanted us to have one, too. After the recent Bumbo seat recall, I thought it would be especially timely to talk about this product since people might be on the hunt for alternatives. Though, having said that, I know a ton of parents who love love love the Bumbo seat and are annoyed that the recall only happened because idiotic peeps left their kids unattended in the seat... on top of tables and stuff like that, which was always clearly against the "intended use" instructions. On the flip side, my physical therapist is not a fan of Bumbo seats in general, saying that kids don't need them to learn how to sit up on their own. Which is true. We have yet to use it for that purpose, however. After Baba G was sitting up on his own, I would put him in the seat for short periods of time when I needed to Swiffer the floor or clean off his play-tile area or was otherwise unable to hold him or be right down on the floor with him. You can't see it in these pictures, but unlike the Bumbo seat, the Luv U Zoo booster DOES have a restraining belt to fasten around your kid's middle. The other straps you can partially see in the pictures above are what you're supposed to hook around a chair. So we did exactly what you're not supposed to do in that we put the seat on our low coffee table in order to feed Baba G his very first meal—we didn't have an actual high chair at the time, and the only place we could really sit across from him in a semi-comfortable fashion was on our couch (with him facing us on the coffee table about six inches away). Gimme that... rice cereal? I was hoping for ice cream. We only used this set-up for about three days and then our high chair arrived. But it worked well and we obviously never left him alone in the seat at all. Now the seat is actually taking up residence on the play mat, and it remains a great option to put him in for a short break. Since BG is crawling all over the place now AND pulling himself up to stand on things, this chair—with its belt-restraint and tray toys and perfect size—is a godsend. 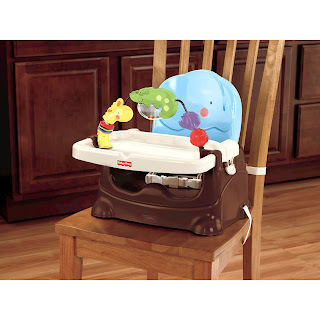 The bottom line: I highly recommend this booster seat and am so glad our friends got it for us. It seems like a lot of other people are big fans, too, judging from the reviews on Amazon. 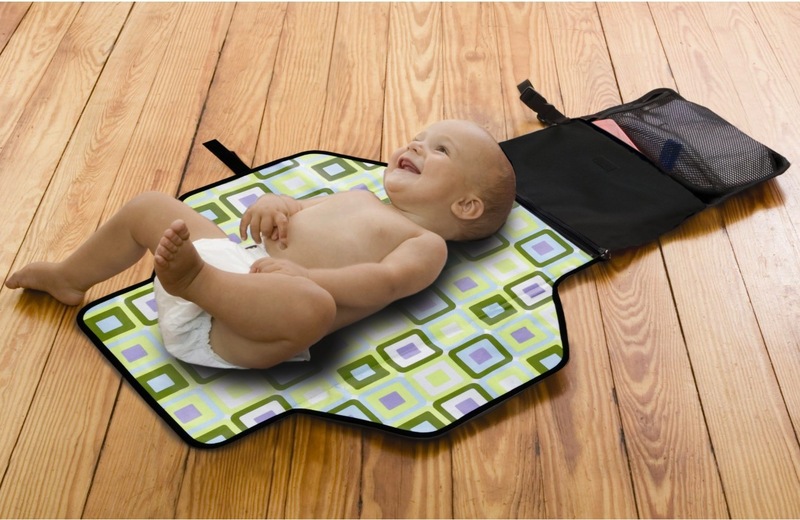 On top of providing a safe, secure place to put your already-able-to-sit-up-on-his-own infant when you can't be holding him or on the floor with him, it's really easy to wipe down. It was also given the thumbs-up from Desmond's physical therapist (more on that some other day!). And while we haven't taken this seat to a restaurant yet, our friends set theirs up for their son while out to brunch with us, and it worked like a charm. They're around $45 on Amazon. First and foremost, I wanted to thank those who wrote me both through the site and offline with advice about the Pee-Diaper Crystal Situation. 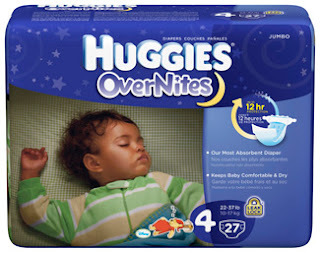 I was really annoyed to find out that the Pampers "Baby Dry" diapers WERE NOT actually the overnight kind, despite graphics on the packaging and claims of "12 hour protection!" that would lead one to believe they were. There is yet another kind called "Extra Protection Overnight" which both BG&Me reader Rachael and a friend of mine called to my attention. This friend gave me three of them to try out, in a size larger than what Baba G normally wears, as she felt going a size up helped with even more absorbency. Those diapers thankfully did not dissolve. BUT Baba still soaked them through, wet to the touch and through his outfit. So I decided to try out Huggies OverNites, which a different friend raved about (a friend who used Pampers on her kids during the daytime). Since I couldn't find either the Pampers EPOs OR Huggies OverNites in our local Walgreens or CVS, I had my husband go to Target where he found the goldmine of diaper choices. We tried out the Huggies last night and they worked splendidly. Definitely full o' pee in the morning, but NOT wet to the touch, so yay. We're sticking with those for the time-being... but if they end up failing us we are gonna go with BG&Me reader Amy's Seventh Generation double-up suggestion! So today's post isn't about any certain product, it's about me taking my first trip out-of-state since Baba G was born. My husband and I went to a wedding overnight a few hours away at the end of July and my parents stayed at our place and watched him, but we were barely gone over 24 hours. Now, however, I'm heading to my annual girls' weekend in New York and will be gone until Sunday night. It's OK, mom -- Daddy & I are gonna rock out to Van Halen all weekend! BUT, I know it's a healthy thing to do—both for me and for Baba. And I know I'll have a great time once I'm out there. But this morning... well, this morning I was tearing up while reading The Runaway Bunny and having freak-outs that something like the scenario in the upcoming TV series "Revolution" is gonna happen where while I'm on the East Coast, all of the power is going to fail in the US and I will have no way back home. Yes, this is what happens when you watch too much sci-fi. So, wish me luck drowning out these crazy fears and willing myself to walk out the door and hail a cab in about an hour. And also please keep your fingers crossed I'll be able to get a good enough connection at a local Starbucks (where I'm going has notoriously spotty access) to have a video chat with my boys each morning. 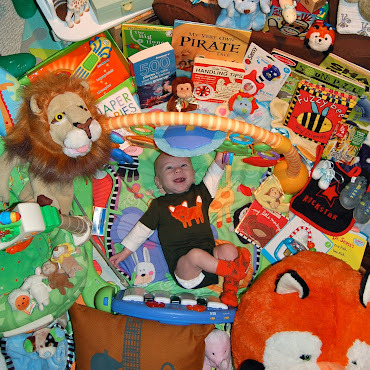 Anyone who's ever read a book to a baby knows that a lot of books geared toward infants are criminally dumb. At first I was all bitter that these kinds of books found publishers and made money for their authors and became best-sellers. I mean, don't even get me started on the "Goodnight nobody" page of Goodnight Moon. ?!?!? But then I had to get over my issues because I realized Baba G loves almost all of the books that I think are ridiculous. I've been reading to him since he was approximately six days old (as in, his first day home from the hospital). I've had many friends say that they didn't start reading to their kids for several months, but I'm not sure why. Maybe I just lucked out with a baby who would actually sit still long enough for me to finish a book. But wait a second—these books are like eight pages max and some of them are a total of like FIVE words. So I'd say that it's worth a try no matter how squirmy your baby is. "I wonder why I'm such a splendid butterfly"? That is the best Mr. Priddy could come up with? Seriously. 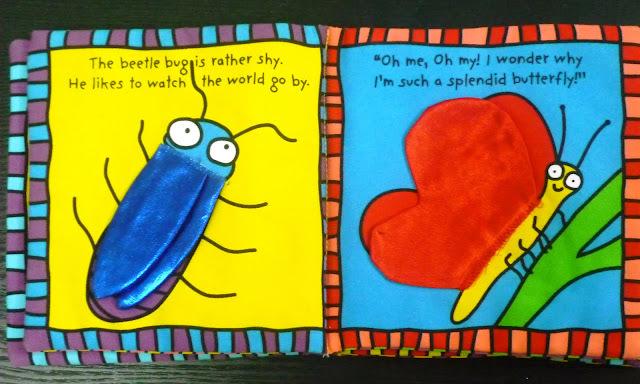 BUT it doesn't matter to Baba G. From the early weeks he was immediately drawn to the things he could touch and pull at on each page (not sure how clear it is above, but the beetlebug's blue wings and one of the butterfly's red wings are like flaps). Four months old and still captivated. The whole book is made of cloth and it's got crinkly stuff in it. Crinkly stuff is like crack for babies, for real. I've always thought that Baba G (and any baby, really) slightly resembled the Baby Worm, so I always squeal "BAAAAAaaaabbbby WOOOORRRRMmmm!" when we get to that part and he laughs and laughs. He still does, 6.5 months in. Similar profile, and both bald with big eyes. There are worse things to look like. 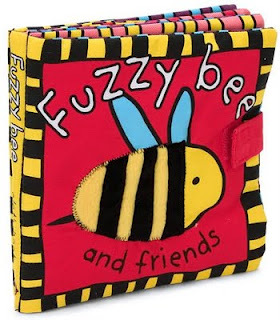 The bottom line: I highly, highly, highly recommend buying all three cloth books by Roger Priddy: Fuzzy Bee, Squishy Turtle and Fluffy Chick (and Friends). Yes, I am recommending a book I don't even have yet because I looked through it online and know it's going to be just as loved by Baba G as the other two. All of these books are brightly colored, have large, simply drawn animals on each page, and have sing-songy rhymes that make sense (for the most part)—BUT the secret to their success is the materials they're made out of. 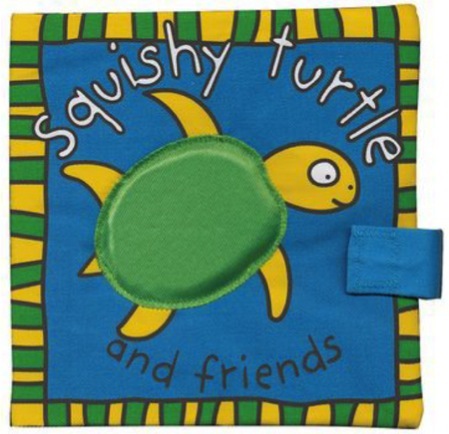 Both the crinkle-stuff inside the cloth pages and the textured wings, flaps, spouts, fins, tentacles, etc. of the "friends" on each page are what makes these books so irresistible to the tots. They're $9 or $10 each on Amazon—well worth the money. Unsolicited Advice: Friends of Pregnant People, Don't "Check In"
1) I have a bunch of friends who are pregnant and due in the coming weeks. 2) I came across a few pictures from the final days of my pregnancy. Why the above inspired this post will become clear in a moment. But for now, let's jump back in time a bit. Baba G had a single-artery umbilical cord (also known as "SUA")—most normal umbilical cords have two arteries. If you were to Google this condition, you would come across awful and scary descriptions of deformities that can accompany an SUA diagnosis. 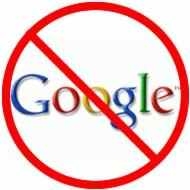 That is why Google is a pregnant woman's worst enemy. I tried my best to just listen to the reassurances of my doctors, who said they saw SUAs at least once a week, NEVER encountered a case where the baby had any other issue whatsoever, and that part of the reason why there's so much alarming information out there is because very few pregnant women have access to the kind of specialty ultrasounds that are required to diagnose SUA in the first place. What little research exists is outdated and skewed, yadda yadda. Well that's all fine and good, but I still couldn't stop myself from reading a few message boards where other parents of SUA babies had gathered. About 99% of the stories these parents shared ended happily, and absolutely everyone wished they hadn't spent so much time worrying about the whole thing while they were pregnant. That helped put my mind at ease. BUT the other thing these stories had in common was that all of the SUA babies came a few weeks before their due dates, and all of the babies were also relatively small. That—coupled with the fact that almost all of my best friends' first babies (products of issue-free, healthy pregnancies) arrived FOUR to FIVE weeks ahead of schedule—had me convinced that Baba G was going to come far in advance of my January 14 due date. And so I waited. My husband thought I was going to deliver on New Year's Eve. That was my worst nightmare because I thought the "B-team" would be on hand at the hospital that night. But we ushered 2012 in with no drama. Another week passed. And another. My due date came and went. My birthday, January 21, came and went. We celebrated it at a local restaurant (picture below), where the staff was shocked to see me waddle in. I'd been there several times toward the end of my pregnancy and they all knew I was a week overdue at that point. Happy Birthday To Me, indeed. Seven days overdue. 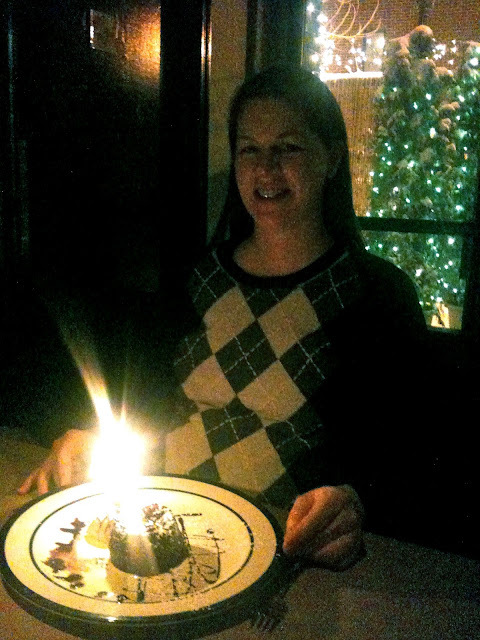 And that's a glare from the candle -- not a cap on my tooth! By this point I was beside myself with fear and worry. When the hell was Baba G going to get this party started? Was he the ONLY SUA baby on the planet who hadn't come early? I felt a weird mix of emotions: I wanted to finally go into labor... yet I was also scared senseless about going into labor. I seriously starting thinking that I might be pregnant for the rest of my life. Somehow in my head that seemed possible. 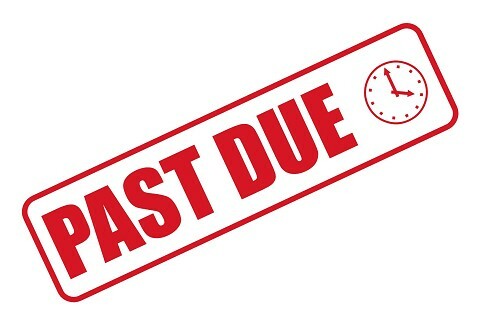 As my due date neared, came, and then went, I received the inevitable stream of calls, texts, emails, tweets and Facebook messages, wondering if there was any news. Soon I felt like if I didn't respond to someone's message right away—even if they didn't mention anything about my long-lasting pregnancy and were just wanting to talk about something random—they'd think I was in labor. I hadn't told anyone about the SUA situation, so no one knew how worried I was. Finally it got to the point that I decided to ask everyone to refrain from "checking in." We'd be sure to let our friends and family know when Baba G made his grand debut, but until then, we just needed to take our minds off of the ticking clock as much as possible, thank you very much. So this is what I would suggest to any well-wishers before "checking in" with someone who's nearing her due date: don't. Unless you are without-a-doubt POSITIVE that she wants to hear from you and/or discuss her impending Big Day, leave her alone. Let her grab some extra sleep, read a magazine, zone out in front of the TV, finish that one last project, or spend some quality time with her significant other. And rest assured the proud parents will let you know when there's something TO know. As for that stinker Baba G who didn't want to leave the comfy confines of my stomach, the docs had to finally force him out 10 days past my due date. And he weighed in at 8 pounds, 11 ounces. And he was pretty much perfect, if I do say so myself. A few weeks after he arrived, I went back on the SUA message board that had helped me feel better about things. I wrote out the longest post of all time, sharing the many ways that my situation had been different from others who had posted before me—especially in the fact that BG arrived so late and was no small dude. A worried father-to-be wrote me back and thanked me profusely for my message, since his wife was also overdue with an SUA baby and they were freaking out. Now that six months have passed, I think it's kind of funny how the situation has completely flipped. Instead of me not wanting anyone to "check in," I'm sure my friends and family members are wishing *I* would stop "checking in" with email upon email filled with pictures of Baba G! But seriously, even if the SUA thing hadn't been a factor, I think I still would've been very much on edge during the days leading up to my due date and wouldn't have wanted to talk to many people outside of my husband. I'd love to hear if anyone felt the exact opposite during the final days of their pregnancies. I wish I were more like you non-worriers! This isn't the first review I've done on a Skip*Hop product, and I'm sure it won't be the last. I really do love this brand. Baba G has been checking off all sorts of milestones this past week, which contributed to my lack of posts. Since he's now crawling (!!! ), I realized that I really need to get going on writing about some of the things I used when he was just a little bitty baby, because there are tons of new products we're spending lots of time with now that he's not only mobile, but also eating "solids" (aka: soupy kinda gross stuff). Too. Much. To. Cover! 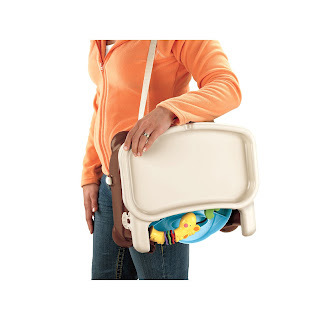 The changer's main purpose is to provide a not-covered-with-other-babies'-nasty-stuff surface for you to swap out your kid's diaper when you're on the go. 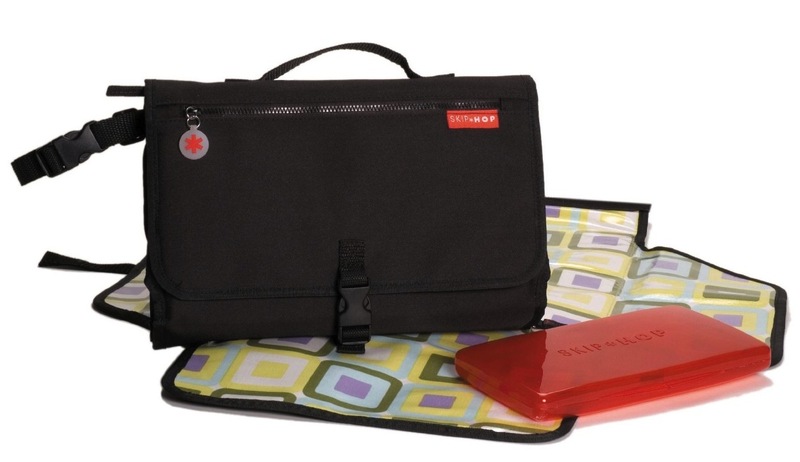 I, however, used it within our condo, just a room away from BG's changing table. The reason why is because I was attempting to help my husband get as much sleep as possible back then. We were SO worried about both becoming zombies after BG arrived that I went totally overboard. We had BG sleeping in his Pack 'n Play (we have one with a pseudo-bassinet level—ONE DAY I will write about it) in our bedroom, and whenever he'd wake up I would take him out to our main room to feed him and, if necessary (which was almost always the case at the beginning), change him. Since he was not exactly quiet during these times, I figured out a fairly hassle-free way to change him on our couch using the Pronto Changer. I would get it all set up before we went to bed—I'd have diapers, wipes, cream, and even a new outfit (just in case) all right there on the coffee table next to the couch. Sure, sometimes BG would roll into the dip between the couch's back and cushion, but I'm sure he had fun when that happened. We'll of course take the Presto Changer with us on trips in the future, but we haven't actually needed it for that use as of yet. The bottom line: I specifically wanted the Skip*Hop Pronto Changer ($30 at Amazon), but I'm sure there are cheaper brands that work just as well. But is a portable changer pad a NECESSARY thing to have in the first place? No, not in the least. There are throwaway changing pads out there, and there's also this thing called paper towel or toilet paper that you could cover a public-bathroom changing table with if you wanted to. But I do like the Pronto Changer and I'm especially glad I had it during those early weeks. I'm still proud of those quick-changes at 3 am.